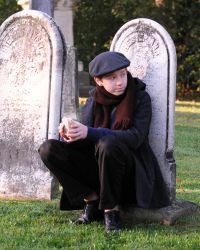 Great Expectations tells the story of young Pip, who longs to be a gentleman but is destined to become a blacksmith. Through his encounters with various wonderfully eccentric characters—including Magwich, the convict; Miss Havisham, an heiress who was jilted at the altar; Mr Jaggers, lawyer to the criminal classes; and many more—Pip does rise above his station, only to lose everything again. But he perseveres in the pursuit of his dreams, and finally succeeds in creating his own happy ending. This entertaining and inspirational story will appeal to audience members of all ages and backgrounds, and provide a fitting tribute to the world’s most beloved author, Charles Dickens, on the occasion of his bicentenary, February 7, 1812. Tickets: $20; available online and at the Grand Theatre box office, 519-672-8800. Half-price tickets for February 5 matinee.